With his junglers’ help, Jizuke took control of the game. After winning both of their games in week one of the EU LCS, Vitality were looking to hold on to the top spot in their game against Fnatic today. Being the only roster to win both opening week matches, Vitality got a good start to today’s game when they got first blood. Erberk “Gillius” Demir paid special attention to mid, and after Fnatic’s mid laner Rasmus “Caps” Winther used Flash he came back to the lane to help get the kill for Daniele “Jizuke” di Mario. Gillius would not leave Caps alone, setting up his tent to camp Caps and snowball the lead for Jizuke. Despite Jizuke’s massive lead, Fnatic did not lay down and let Vitality run over them. Instead, they took their frustration out on Cabochard, killing him multiple times to shut down the top laner. The game stalled out despite Jizuke’s strength as Fnatic controlled the top side. Jizuke took matters into his own hands and won a 1-vs-2 against Fnatic. Jizuke laughed in the face of Caps and Paul “sOAZ” Boyer as they tried to kill him, showing them the true power of a fed Ryze. Vitality used this play to take the Baron and push down Fnatic’s turrets. Despite Fnatic’s attempts to ignore the Ryze, Jizuke kept asserting himself, picking up kills and objectives for Vitality. While Vitality feinted at the Elder Drake, Jizuke ulted into the Fnatic base to end the game. Cabochard joined him with teleport and the two players took down the Fnatic turrets. Caps made an attempt to hold off the intruders but ultimately failed as Vitality destroyed the Nexus to take the game. From start to finish Jizuke had the game in the palm of his hands. Fnatic could not deal with his Ryze and he was the MVP of the game by far. 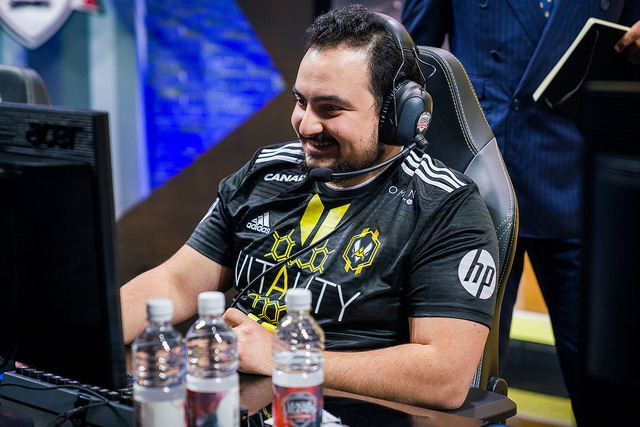 Vitality stay undefeated in three games, this time due to their rookie mid laner. They will look to keep the loss column empty tomorrow when they play Misfits. Fnatic drop their second game ahead of their hyped match-up against G2, which the EU LCS broadcast deem the Clash of Kings.